December’s San Diego real estate market in review: As of December 2017, the median detached home in San Diego County sold for $600,000 up 7.2% from the previous year. 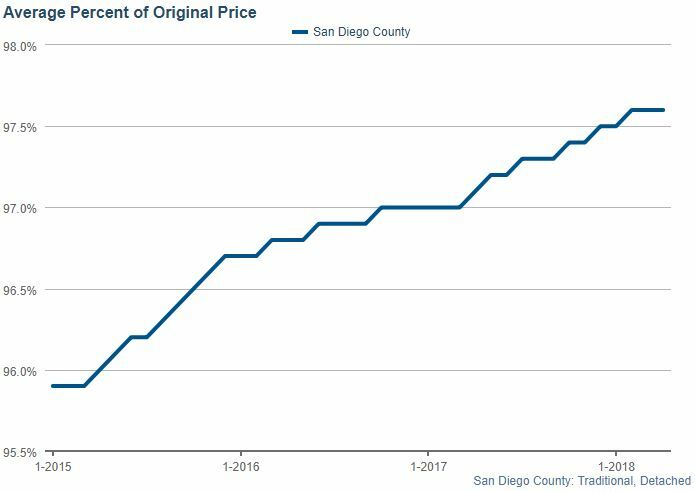 As of December 2017, the median attached home (including condos, townhomes, and twinhomes in San Diego County sold for $398,500 up 8% from last year. 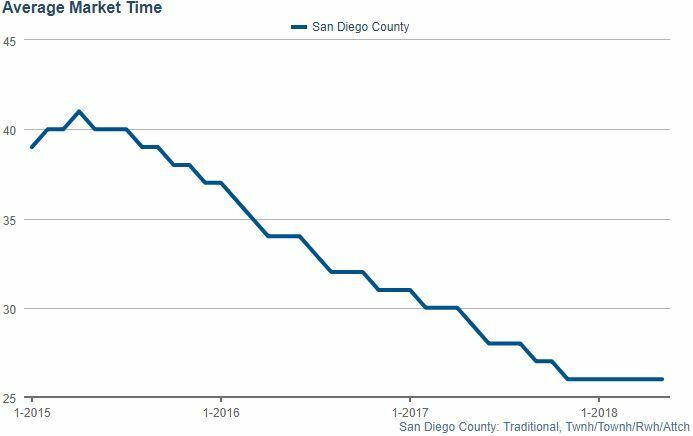 The average detached home in San Diego spent 36 days on the market. As of December 2017, the average seller of a detached home in San Diego County receives 97.4% of the original list price at the close of the sale. As of December 2017, the owners of attached properties (condos, twinhomes, and townhomes) retained 98.5% of the original list price. What We Did: We cleaned the carpets, installed a new shower enclosure, painted inside including some cabinets, did outdoor landscaping clean up and spruce up, staged the home, and took professional photos. What We Did: We painted the exterior of the home, installed new kitchen cabinets, quartz counter-tops and appliances, painted throughout, and updated master bath counters. We also staged and finished the process with professional photos. What We Did: We sanded the floors, painted cabinets, did some tile work in the bathroom, staged, and took professional photos.